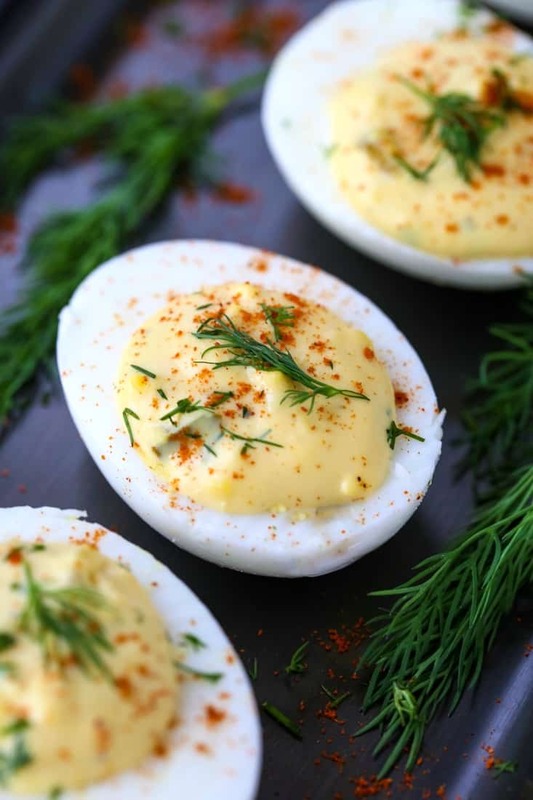 Try this Classic Deviled Eggs Recipe for your next holiday or party! Deviled eggs are an easy, make ahead appetizer recipe that everyone loves! Love eggs? We do too! try these Buffalo Chicken Stuffed Eggs this Taylor Ham Egg and Cheese Casserole or these awesome Twice Baked Bacon & Egg Potatoes! But the classics are around for a reason. They’re damn good. And these days with so many people following a low carb diet? 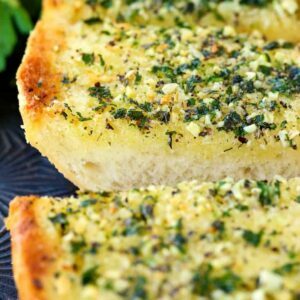 Well these are the low carb appetizers you’re looking for. 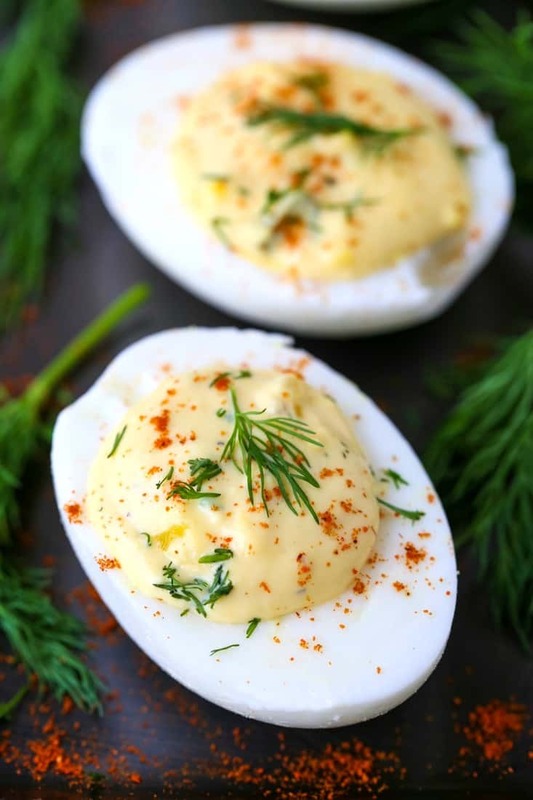 Because you can eat these deviled eggs for lunch, snacks, even a light dinner with a salad! 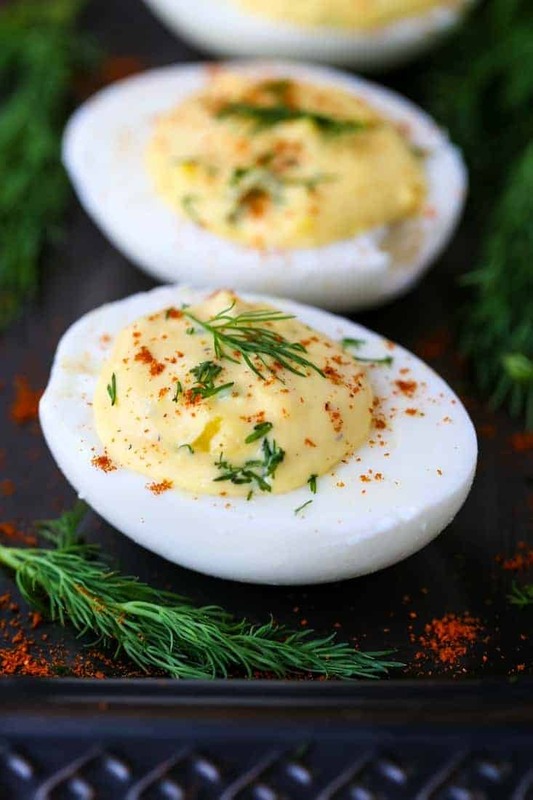 Deviled eggs aren’t just for appetizers anymore! There’s tons of varieties of deviled egg recipes but today we’re going to start with a basic deviled egg. Then once you get that recipe down you can start with some fun variations. 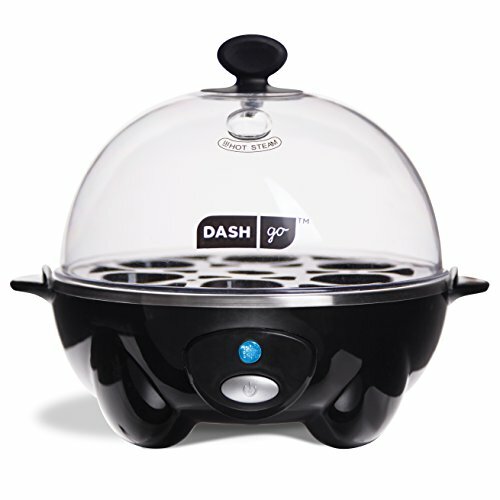 It’s called the Dash Rapid Egg Cooker and I couldn’t say enough about it! Using this appliance, which is only about 15 bucks on Amazon, results in the most perfect hard boiled eggs that the shell comes right off off! Because there’s nothing worse than boiling a whole bunch of eggs and struggling to get the shells off. And I’ve tried all the tips and tricks – believe me – I’ve tried them. Grab yourself one of these egg cookers and save yourself the trouble. Plus our boys really like eating hard boiled eggs and with this egg cooker they can make them by themselves. Win win. OK so now that we’ve got the hard boiled eggs covered, let’s move on to making this Classic Deviled Eggs Recipe. 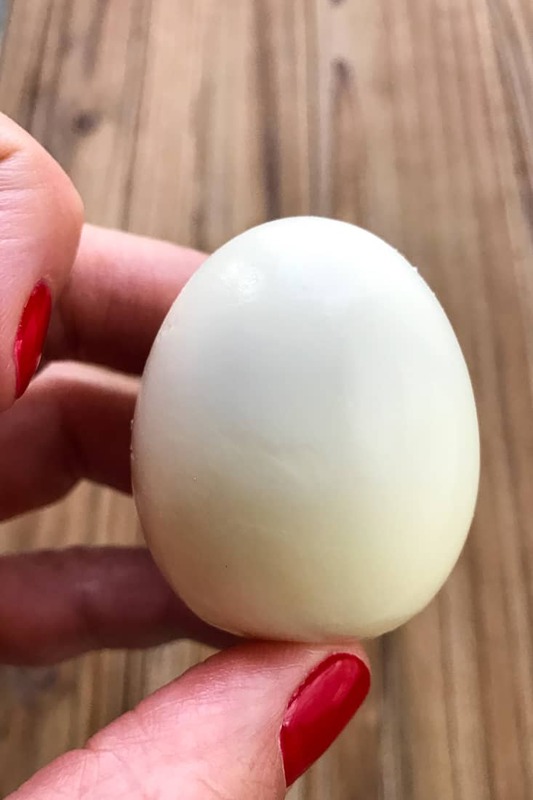 Slice your eggs in half lengthwise and scoop out the yolks into a small bowl. As much as the flavor is important, the texture of these deviled eggs is right up there. You want your filling to be smooth, not lumpy. Get in there with a whisk and really blend the filling together. Now you can grab your filling and fill your eggs. If you want to get fancy you can use a piping bag and get that spiral decorative look, but we’re keeping this Classic Deviled Eggs Recipe classic. Mix it all together and stuff into the egg halves. That’s it! Really, this couldn’t be an easier appetizer recipe! 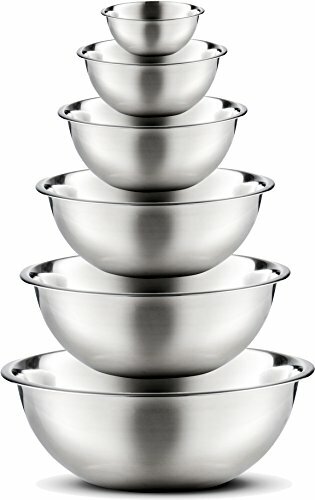 What Are the Ingredients For Deviled Eggs? Like I said, these are the basics. 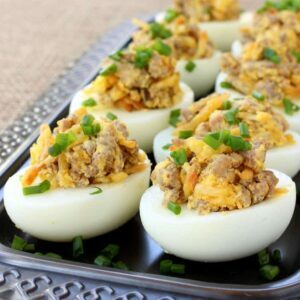 There’s tons of other ingredients that you can add to deviled eggs like bacon, avocado, even tuna! You definitely can! Because not only are these little egg appetizers super easy to make but anything you can get done ahead of time for a party is a win. Also, I know I keep talking about appetizers for parties, but we actually make deviled eggs a lot just to eat. Lunches are great, or lunchboxes or even after school snacks for the kids! If you’re going to fill your eggs, you can make them a couple of hours ahead of time before you need them. Or you can get get everything ready to the part where you fill them, stash them in the fridge and then fill your eggs right before you need them. 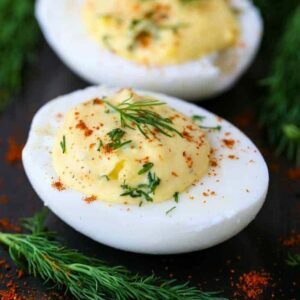 We’ve actually eaten leftover Deviled Eggs the next day after a party and they are still totally delicious, so it’s up to you as to what your timing is! 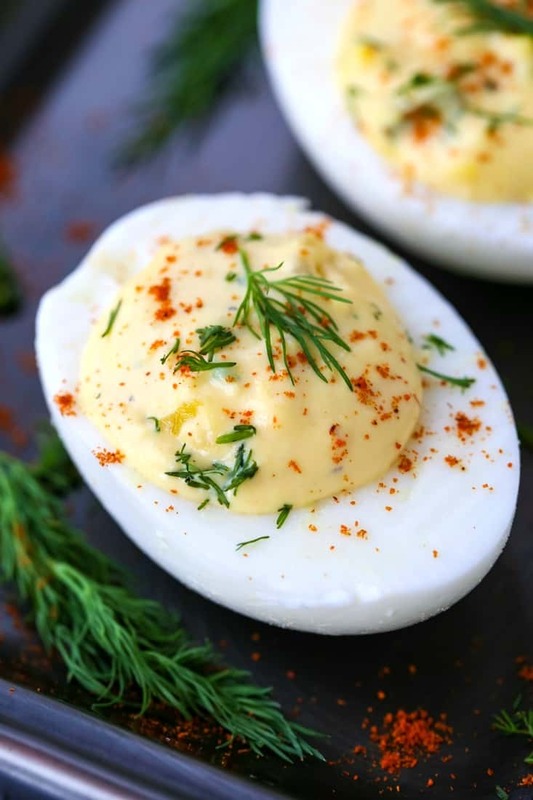 This deviled egg recipe makes the best deviled eggs you’ll ever taste! 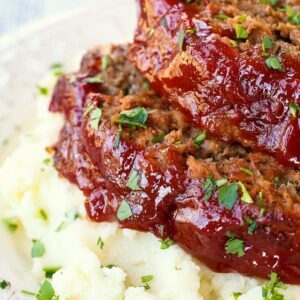 An easy appetizer recipe for parties or tailgating! Split the eggs in half lengthwise and carefully scoop out the yolks into a bowl. Add the mayonnaise, mustard, relish, brine, hot sauce, dill, salt and pepper to the yolks and stir together until smooth. Fill the hollowed out center of each egg half with the yolk filling. These deviled eggs can be made ahead of time and kept in the refrigerator until ready.